Enrol for another OERu course – if you are an existing account holder. At the OERu, course registration is optional. You can access all OERu learning materials without a username or password. However, you will need to create an account on the course.oeru.org site to post comments and receive course emails. New users must first create an account on the course.oeru.org web site using the “Register” button on the login pop-up page. You can update the course blog feed URL later if you’re not sure what URL to supply. Existing account holders must enrol for each OERu course they wish to take. By logging in to a new course site with an existing account, you will automatically be enrolled for the selected course. 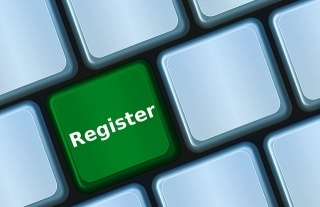 Enter your username and password, and click on the “Login” button to enrol for the course. You need to login in order to post comments on a course web site. From the Course site click the head graphic (). If you forget your password, you can retrieve it. First check that you have not got caps-lock set to on. (The username is always in lowercase). Click on head graphic (). You will receive an email with instructions (Check your spam folder if you don’t receive the email).